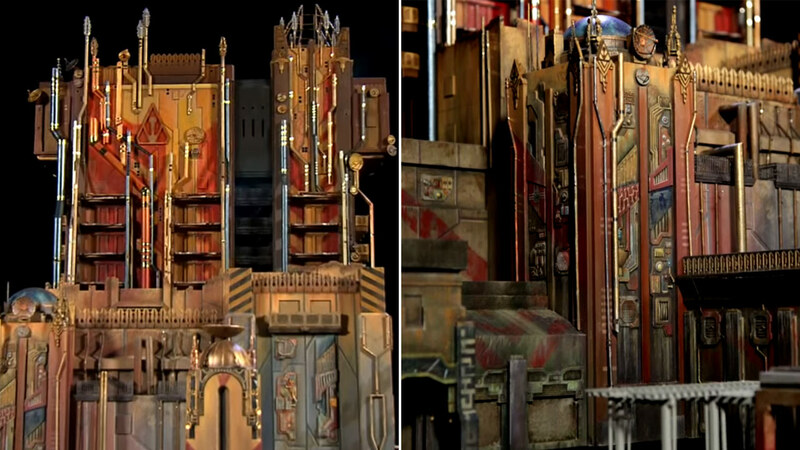 ANAHEIM, Calif. -- Disney revealed the new design for the Twilight Zone Tower of Terror at California Adventure Park as it transitions into the Guardians of the Galaxy - Mission: BREAKOUT! Disney Parks Blog got a first-hand look at the design created by Walt Disney Imagineering. The Tower of Terror, an elevator-drop attraction based on the 1960s horror television show "The Twilight Zone," will be closed for good in January. Guardians of the Galaxy - Mission: BREAKOUT! will launch Disney guests into a "chaotic and hilarious" ride as they join live-action Marvel Rocket Raccoon in an attempt to break his fellow Guardians out of captivity. The new attraction, which is set to open in the summer of 2017, will be a free-fall ride with the latest visual and audio effects. Guardians of the Galaxy - Mission: BREAKOUT! will mark the first time Disney has incorporated characters from its Marvel superhero universe at the theme park. The Walt Disney Company bought Marvel Entertainment Inc. in 2009 for $4 billion.